At Gettysburg College, our students receive a transformative liberal arts education that asks for engagement and offers challenge and opportunity in return. We cultivate each student’s potential to think innovatively and put what they learn into action. Founded: 1832; Gettysburg is a highly selective, nationally recognized college of the liberal arts and sciences and the nation’s oldest historically Lutheran college. Successful graduates: Within a year of graduation, 98% of graduates are employed full time or pursuing graduate studies. Small classes: The student-faculty ratio is 9:1, with an average class size of 17. Full-time faculty total more than 200; 100% hold a doctorate or the terminal degree in their field. Wide-ranging curriculum: Bachelor degree programs include Africana Studies; Anthropology; Art History; Art Studio; Biochemistry and Molecular Biology; Biology; Chemistry; Cinema and Media Studies; Classics; Computer Science; East Asian Studies: Chinese Track and Japanese Track; Economics; English; Environmental Studies; French; German; Globalization Studies; Health Sciences; History; International Affairs; Italian Studies; Latin American, Caribbean, and Latino Studies; Mathematical Economics; Mathematics; Music; Music Education; Music Performance; Organization and Management Studies; Philosophy; Physics; Political Science; Psychology; Public Policy; Religious Studies; Sociology; Theatre Arts; and Women, Gender, and Sexuality Studies. Special programs: Options include American Studies; Civil War Era Studies; Comparative Literature; Health Professions advising; Judaic Studies; Law, Ethics, and Society; Middle East and Islamic Studies; a Neuroscience minor; Peace and Justice Studies; Pre-business advising; Pre-law advising; a Public History minor; Secondary Education preparation/certification; and a Writing minor. Dual-degree and cooperative programs: Options include Engineering and Nursing. Here “Do great work” is more than a tagline. We believe learning means doing and a college education should prepare our students to be great and do great work. So often what happens outside the classroom is a vital extension of what happens inside. If you want to get involved—and most Gettysburg students do—the opportunities are almost endless. Gettysburg College supports a first-class faculty that embrace innovation and cutting-edge developments. The benefit to students is clear: when professors are excited about and engaged with new thinking and discovery, they communicate this enthusiasm and knowledge in the classroom. This passion for academics is most notably visible in our highly respected First-Year Seminar programs and abundant opportunities for highly personalized student-faculty research across all disciplines. Our distinctive programs and other unique facilities enable us to balance our small-town feel with big-campus resources. Whether our students want to learn about public policy and presidential leadership through the Eisenhower Institute, cultivate their personal leadership style through the Garthwait Leadership Center, engage in diverse perspectives and public interpretations of history through the Civil War Institute, or combine their love of music with their liberal arts education through the Sunderman Conservatory of Music, our students are challenged with programs that inspire them to greatness and push them to unleash their potential. Recognizing the value of preparing global citizens for a lifelong journey of positive impact, Gettysburg College provides opportunities for all students to take their learning out of the classroom and into the world. In fact, nearly 60% of Gettysburg students study abroad for at least one semester at prestigious colleges and universities worldwide, earning us the distinction of being named seventh in the nation—and first in Pennsylvania—for semester-long study abroad experiences by the Institute of International Education. Outside the classroom, “Gettysburgians” are actively involved in over 120 student organizations—including a Center for Public Service—that cultivate an impressive array of interests, talents, and cultures. An athletic powerhouse, Gettysburg offers 24 intercollegiate sports for men and women and has captured 111 Centennial titles over the last three-plus decades of competition, as well as three NCAA Division III national championships. Strong recreational and intramural programs give everyone an opportunity to get involved. In fact, 86% of students participate in a campus recreation program. 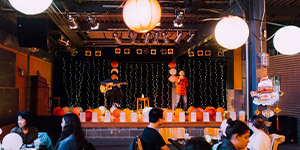 During the weekends, students can choose from one of over 800 events planned by the Campus Activities Board each year—including concerts, comedians, and coffeehouses; cheering on the Bullets; going on outdoor expeditions; exploring DC museums; taking in a movie or lecture; playing inner tube water polo; competing in a ping-pong tournament or trivia night; and so much more. One of the things that distinguishes Gettysburg College is our dedication to helping students develop a career plan and build their professional network. At Gettysburg College, the community our students join includes our network of over 30,000 active and engaged alumni who are just as committed to preparing future leaders as we are. Gettysburg students explore various career fields through internships, externships, job shadowing, career immersion trips, and networking events. Over 8,000 opportunities for career exploration have been created in the past seven years, and more than 80% of students complete at least one internship or externship by the time they graduate. In fact, The Princeton Review ranked us 25th in the nation for internship opportunities. 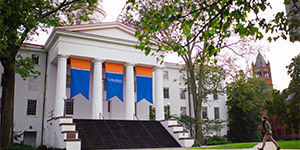 All these opportunities for practical career development and networking, in addition to our graduates’ high rate of job placements just one year after graduation, have earned Gettysburg College the distinction of being featured in The Princeton Review’s guide Colleges That Create Futures: 50 Schools That Launch Careers by Going Beyond the Classroom. Gettysburg offers the best of both worlds: a classic college town in a beautiful historic setting with a vibrant downtown not far from major cities—the nation’s capital, Washington, DC, is just 80 minutes away. All around Gettysburg are abundant opportunities for exploration and outdoor recreation. Spend the afternoon at the movie theatre, hike the Appalachian Trail, or hit the slopes at a nearby mountain. Maybe you will take a day trip with friends to explore Baltimore or DC, hop a bus to New York City for a Broadway show, or interview for an internship in Philadelphia. See for yourself what makes Gettysburg great. For information about applying for admission and financial aid availability, please visit gettysburg.edu.